Our product range includes a wide range of white coal briquette. With the assistance of our team of professionals, we are engaged in providing an excellent quality Briquetted White Coal. 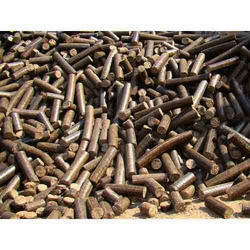 This coal is highly acclaimed among the clients for its high calorific value and combustion efficiency. These products are applicable in steam generation in boilers, heating purposes and drying processes. The coal made from agriculture and forest - wastes & residues in form of briquettes has been named as “Briquetted White Coal”. Our offered white coal is manufactured utilizing quality assured components and modern technology by our skilled professionals. In order to maintain its premium quality, this white coal is rigorously examined on various parameters by our quality experts.